On the first Tuesday of August, neighborhoods throughout Albuquerque are being invited to join forces with thousands of communities nationwide for the National Night Out (NNO) crime and drug prevention event. 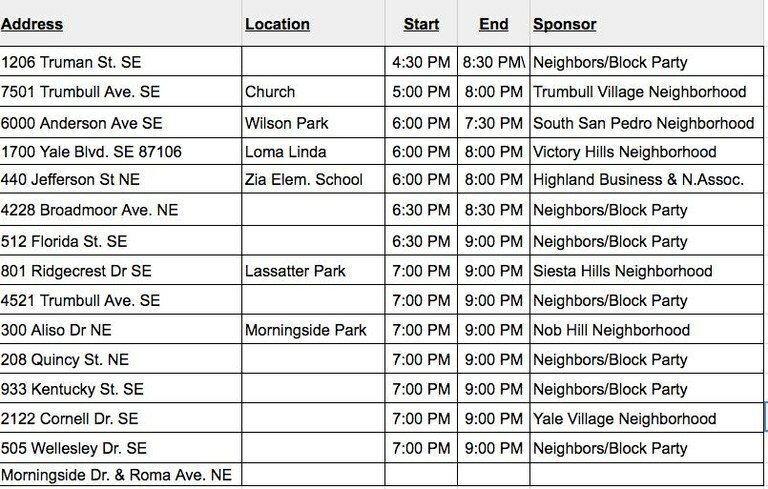 From 7:00 to 9:00 PM on the first Tuesday of August, resident in neighborhoods throughout Albuquerque and across the nation are asked to turn on outside lights, get outside and spend the evening outside with neighbors and police. 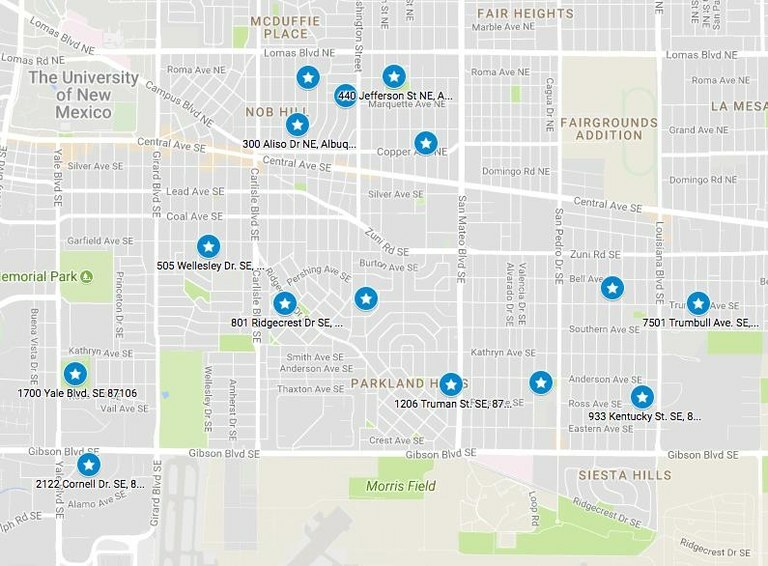 Many neighborhoods throughout Albuquerque will be hosting a variety of special event such as block parties, cookouts, parades, visits from police, flashlight walks, contests, youth activities, and anti-crime rallies.